Your wine collection is an investment. At CellarPro, we'll help you protect it. Our cooling units for wine cabinets and cellars keep storage temperatures and humidity levels in a stable recommended range—without fail for years. Made in America and individually tested to rigorous standards, CellarPro refrigeration systems let you control the elements. We started out building cabinets for fellow wine lovers, but we couldn't find refrigeration systems that lived up to our expectations. So, in 2008, we decided to design and make them ourselves. Today our units outperform the competition on every level. Easily programmable controls. Large coils for maximum cooling performance. Noise-reducing fans. 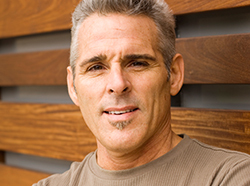 These are just a few of the features that make CellarPro systems so effective and dependable. 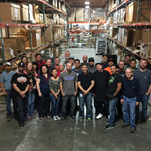 Discover what sets our products apart from the rest. 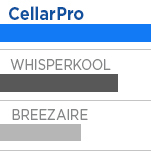 Curious how CellarPro cooling units compare against the leading competition? We've done the research and compiled the data showing how our units stack up across multiple facets, including noise, power, features, design, construction and warranty. Find out what makes our units different than the others. CellarPro partners with wineries, restaurants, and homeowners alike to devise custom wine storage solutions. Read about our process for working with clients and find out how you can benefit from involving us in your cellar plans. 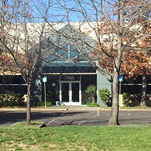 Located in Sonoma’s wine country, our team includes professionals from product development to manufacturing to customer support, collaborating to create, continuously improve, and support CellarPro cooling units. 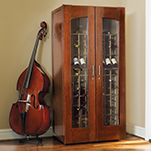 Our family of stores offers the world's widest selection of wine-related products. 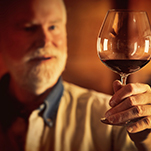 With our industry connections and decades of experience, we bring you the best prices, plus advice on all aspects of wine enjoyment and storage. 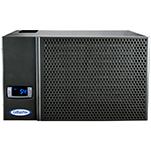 "Phenomenal—the unit is super quiet and cycles half as often as the old unit (Vinotemp) I replaced. I would recommend this company."